As technology continues to increase its influence on logistical planning, and millennials’ preferences have companies scrambling to capture their attention, the travel industry has undergone a notable transformation. Today’s consumers demand a seamless process in most every part of their day-to-day lives, and they expect these comforts to translate into their travel experiences, from hotel bookings to restaurant reservations to unforgettable live events. But in catering to the instant gratification driven by the demand of primarily millennials, it is possible for the hospitality industry to unintentionally overlook another demographic of travelers that remains as equally as robust as the millennial market: baby boomers. Though their demands may be less focused on upgraded activities or digital check ins, baby boomers expect to embark on four or five leisure trips a year according to the AARP Travel Research: 2018 Travel Trends survey. The survey also found there’s a growing sentiment among the generation that they travel to relax and rejuvenate, up to 49 percent compared to 38 percent in 2017. And with the majority of boomers noting their primary motivation to travel is to spend time with friends and family, it presents new opportunities for us in the travel industry to make vacations a family affair and embrace the multigenerational travel trend. Baby boomers make up more than half of our member base at Diamond Resorts and we have seen the power vacations have to bring multiple generations together – as long as they present an opportunity for everyone to find common ground. While catering to a variety of preferences isn’t easy, we can use data to conduct analysis of our members and guests’ interests and travel habits to help identify which activities they are most likely to enjoy. Doing this helps us in the industry subsequently develop new programs and offerings. Vacations are most successful, for both families in terms of satisfaction and hospitality companies with regard to retention, when all walk away happy. Having options that have mass appeal, as well as ones that are targeted toward a certain group, can make this possible. For example, at Diamond Resorts, we developed Events of a Lifetime, a unique experiential vacation platform that includes once-in-a-lifetime events and experiences. The events range from private concerts to dinners with sports stars, so there’s something that appeals to anyone in the family. 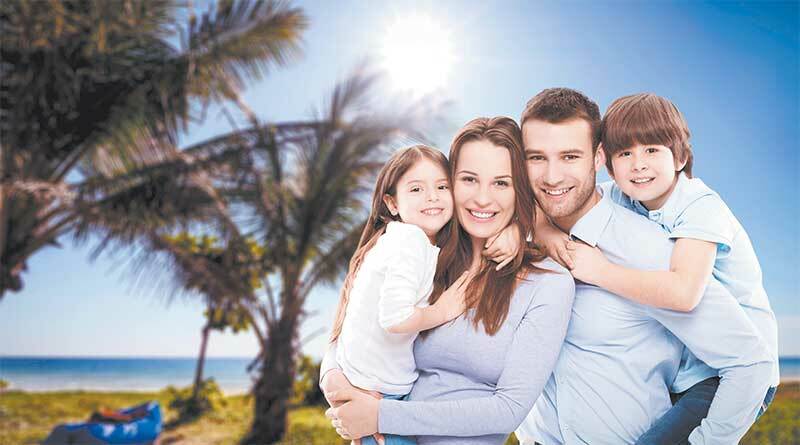 Our primary goal at Diamond Resorts has always been to facilitate the family vacation. Vacation time is an opportunity for families to reconnect and spend quality time together. We offer a variety of family-friendly programs that appeal to different tastes so that every family member feels at home in any of our global properties. We strive to ensure optimal comfort for families of all sizes by offering amenities such as portable cribs, separate spaces that allow parents to have some extra privacy and even washing machines. Customer service remains at the forefront of our resort offerings no matter the destination. Our team believes that a perfect vacation experience is the top priority and can be achieved regardless of age or destination. After a day of engaging in different activities, families can gather and catch up over a quality meal or share in the unforgettable experience of watching a Major League Baseball game with Hall of Famer Reggie Jackson, one of our Diamond Celebrity ambassadors. When guests know they can count on a commitment to customer service and an inclusive experience that allows them to create lasting memories with their loved ones, they’re bound to return time and time again.